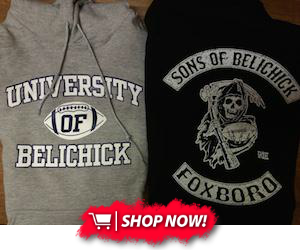 It has become a Boston tradition that the New England Patriots come out for the Red Sox home opener and celebrate after winning a Super Bowl, but this time was a little different. 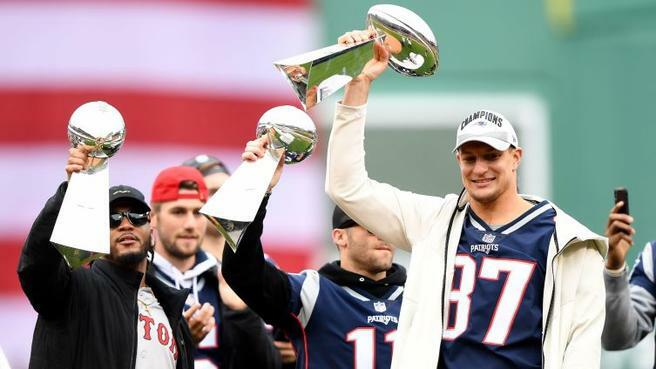 The Red Sox had a ring ceremony of their own, coming off their 2018 World Series victory, but perhaps the one of the loudest ovations given that day was for Rob Gronkowski. Gronk came out with a bunch of his former teammates (I'll never get used to writing that), to celebrate their 6th Lombardi Trophy. There was no shortage of players however, as Gronk was accompanied by Julian Edelman, Stephon Gilmore, Patrick Chung, Matthew Slater, Jason McCourty, Duron Harmon, Deatrich Wise, Derek Rivers, Joe Thuney, Ja'Whaun Bentley, Joe Cardona, Obi Melifonwu, Ted Karras, Keion Crossen, Ryan Izzo, Cole Crosten, Dan Skipper, Ramon Humber, Brian Hoyer, Danny Etling, Trent Harris and A.J. Howard. While any Patriot being out there would be awesome, seeing Gronk out there was a little extra special. He's made some public appearances since retiring, but nothing is better than sending him off in front of all the fans at Fenway and to throw out the first pitch. Edleman and Gilmore joined in as well, with Jules being MVP and Gilmore making one of the most significant plays, with a late-4th quarter interception. It was really cool to see Gronk in his jersey with everyone again and seem to have a genuinely good time. Keep an eye out for him in the future, because I wouldn't be totally surprised to see Gronk in attendance at the TD Garden for both the Celtics and Bruins playoff runs as well.